Forrester reported that an improved design could increase conversion rates by 400 percent. With a streamlined experience, users face fewer obstacles and consume more of the content that transforms them from a site visitor to a lead, to a customer. And your internal users (read: your employees) can up their productivity exponentially with a better user experience. Making your employees’ jobs easier should be a top priority, and good design helps people find what they’re looking for faster. When properly designed, your internal tools should organize content based on how users think and process information. Delight your staff with a positive user experience that mirrors the seamless ones they enjoy using apps outside of the office – from Starbucks to Amazon. When people find the information they need where they expect to find it, they will not only work more efficiently, they’ll also feel a stronger connection to your brand and represent you more effectively with your customers. Optimizing the user experience for your customers requires a look at buyer personas and the buyers’ journey. For your internal user experience, analyze the information you have about your employees and their processes. Satisfaction – Is your tool useful or seen as an impediment to getting the job done? Does it perform well or take a long time to load? Is it in line with the company vision? Usability – Evaluate the tool through questionnaires, user testing and interviews to find out if it’s making your employees’ jobs easier or creating inefficiencies. Interactions – Is the tool set up with intuitive actions in mind? Navigating through internal process and software should feel natural. You may also want to consider accessibility for users with disabilities when configuring the experience. 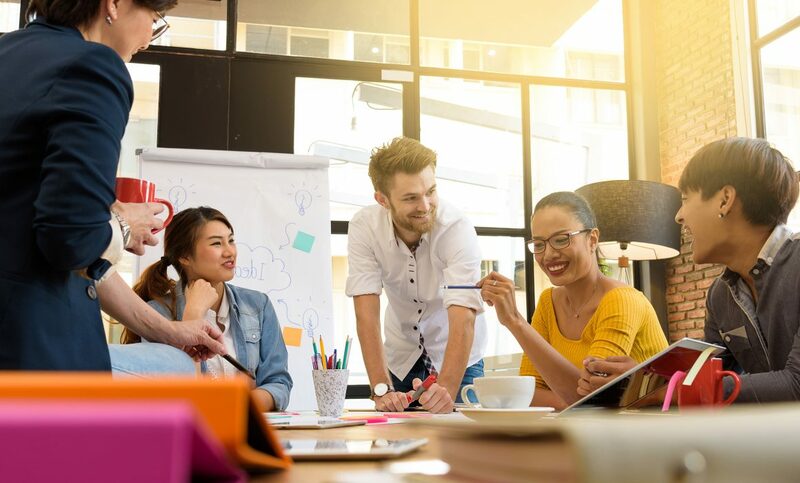 Help your staff to become more engaged with your company by considering their user experience and how everyone can be better connected with their work. Giving your team a high-quality experience that parallels the ones they’ve come to expect as consumers will enable you to earn their trust, too. Want to talk about how to design better user experiences for your employees? Email me or call 317-631-6400. RELATED >> Is Your Employee Handbook Helping (Or Hurting) Your Retention Rate? RELATED >> IT Is Not The First Line Of Defense. Employees Are.